Since 1991, Sustainable Economic Enterprises of Los Angeles (SEE-LA) has been devoted to increasing food access and enriching the health and overall quality of life for Los Angeles residents. In 2002, SEE-LA launched the Pompea Smith Good Cooking/ Buena Cocina Nutrition Education Program in service to low-income individuals in communities with a high prevalence of adult and child obesity to encourage healthy eating and physical activity. We host free interactive nutrition education and cooking classes onsite during market hours at our Central Avenue and MLK Campus Farmers’ Market. In addition, we host classes at a select number of community sites each year. Nutrition education focuses on building basic skills that enable participants to confidently make healthy nutrition choices. Topics include MyPlate, label reading, expanding knowledge of the benefits of fruits and vegetables, and developing a deeper understanding of sugars, fats, and salt in our daily diets. We close each class with a recipe demonstration that illustrates the key points of the day’s lesson. Fresh local produce from our farmers is incorporated to create simple nutritious meals for all skill levels. In addition to nutrition classes, our program works collaboratively with schools to develop and expand healthy school policies. We also focus on the South Los Angeles food environment through partnership with local corner stores to boost healthy food access. In 2014, SEE-LA received a 3 year USDA SNAP-Ed grant from the Los Angeles County Department of Public Health’s Nutrition Education and Obesity Prevention (NEOP) Program to conduct and expand its Pompea Smith Good Cooking/ Buena Cocina Nutrition Education Program within the Southern Los Angeles Area. During those 3 years Pompea Smith Good Cooking/ Buena Cocina Program served nearly 8,000 community members through our 7 class nutrition series. 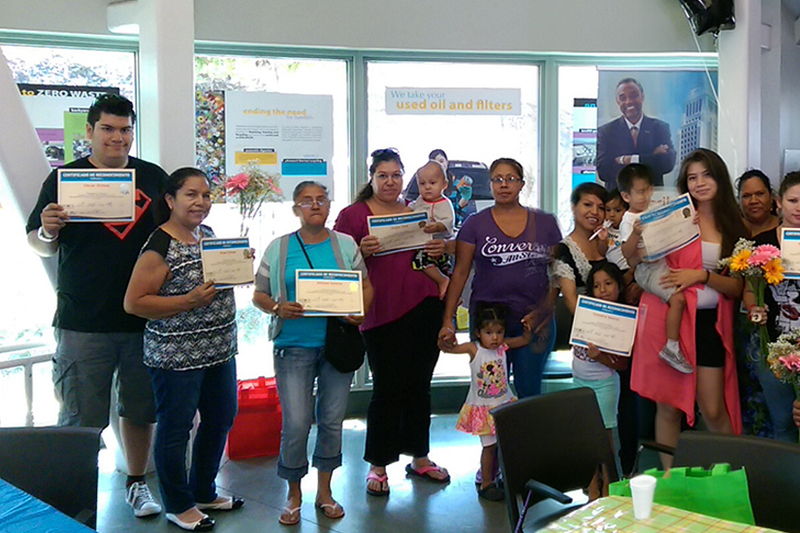 We hosted 640 classes at our Central Avenue and Watts Healthy Farmers’ Market in addition to numerous community sites including school parent center and public libraries in communities of need. 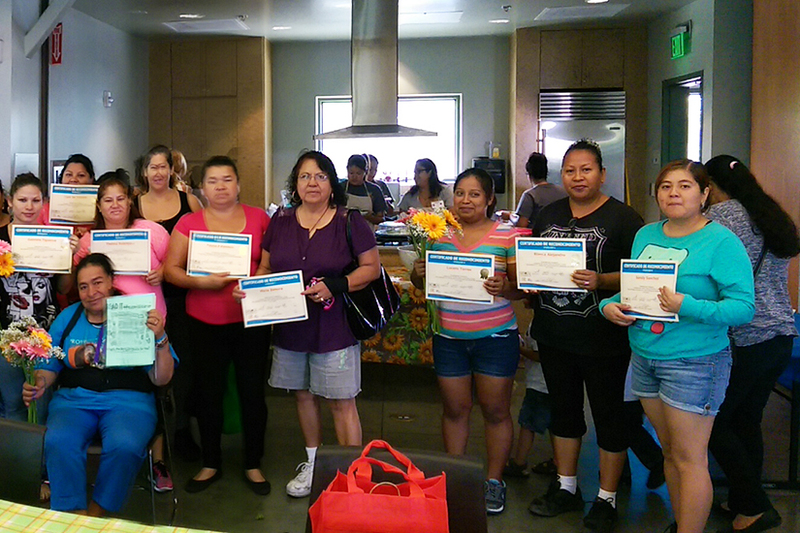 Due to the overwhelming success of the NEOP grant, SEE-LA was awarded another three- year term to continue the services of the Pompea Smith Good Cooking/ Buena Cocina Nutrition Education Program. 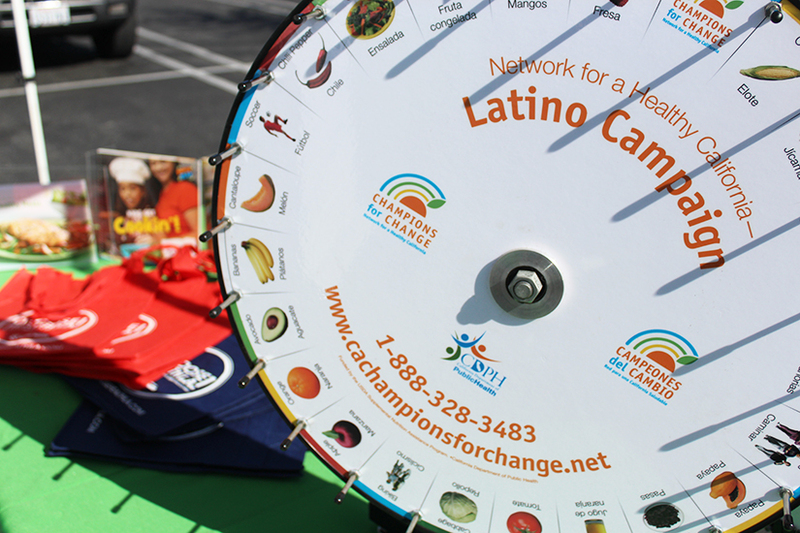 Funding was awarded via the Los Angeles County Department of Public Health Champions for Change- Healthy Communities Initiative planned to launch in November 2016. SEE-LA’s program is part of a larger network of organizations providing comprehensive nutrition education and physical activity promotion across Los Angeles County. Our program operates under a unique model creating a food and education hub for the communities within SEE-LA’s Central Avenue Farmers Market and new MLK Campus Farmers’ Market. 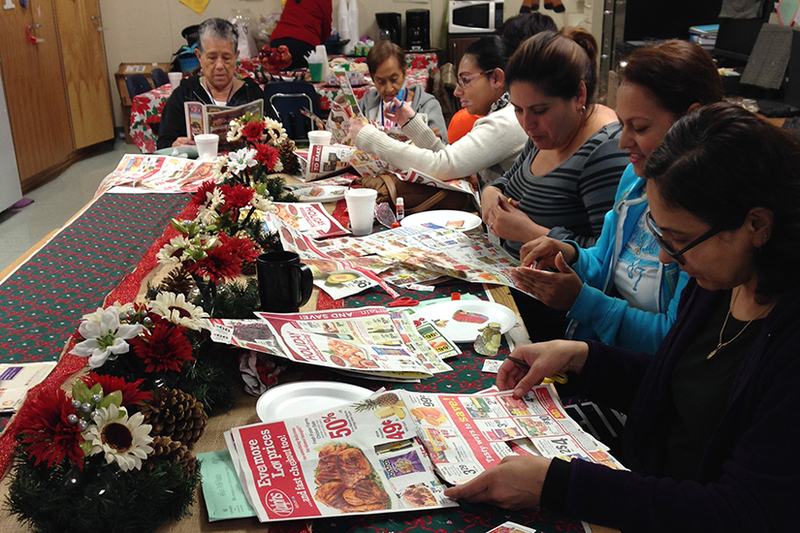 The program’s nutrition classes emphasize skill development in making healthy choices through nutrition label reading and quick, penny-wise healthy recipes. We strive to incorporate an abundance of local produce into each recipe enabling nutrition class participants to easily re-create the lesson’s recipe at home by purchasing produce from our Farmers’ markets. Individuals that receive CalFresh benefits also have the opportunity to double their market spending with our Market Match incentive program. We love data and want to see how well our classes inspire change. Food and Behavior Checklist surveys were given to participants before and after they completed a class series which included nutrition education, physical activity and cooking demonstrations. These surveys were compared to a control group that did not participate in the class series. Love what we do? Share our Program with your Network!